Most common aquarium fish hail from tropical climates. Therefore, they need water temperatures higher or lower than room temperature. The majority of aquarium fish need temperatures between 75°F and 80°F degrees Fahrenheit. This range covers the ideal temperature for both freshwater and marine fish from the tropics. Some species require lower temperatures. Even within their viable range, fish respond poorly to sudden changes in temperature, so stable temperature control of the aquarium water is imperative. There are variable sources of energy that heat (or sometimes cool) the aquarium water. These include environmental effects from the public attending the aquarium (visitor traffic) and heat generated from powerful lighting required for public viewing of the fish and corals. 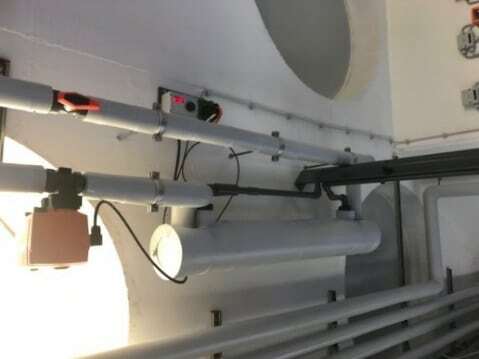 The key factor in controlling the temperature of the aquarium water is the heat exchanger. 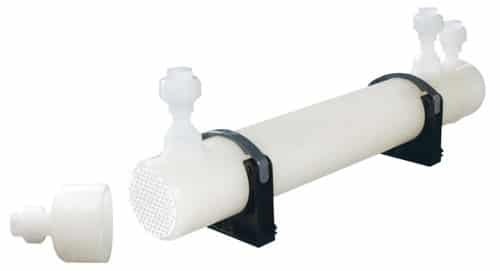 Heat exchangers are devices that transfer energy from one medium (the aquarium water) to another liquid medium (usually chilled water or hot water). The choice of heat exchanger material is critical in continued health of the aquarium. 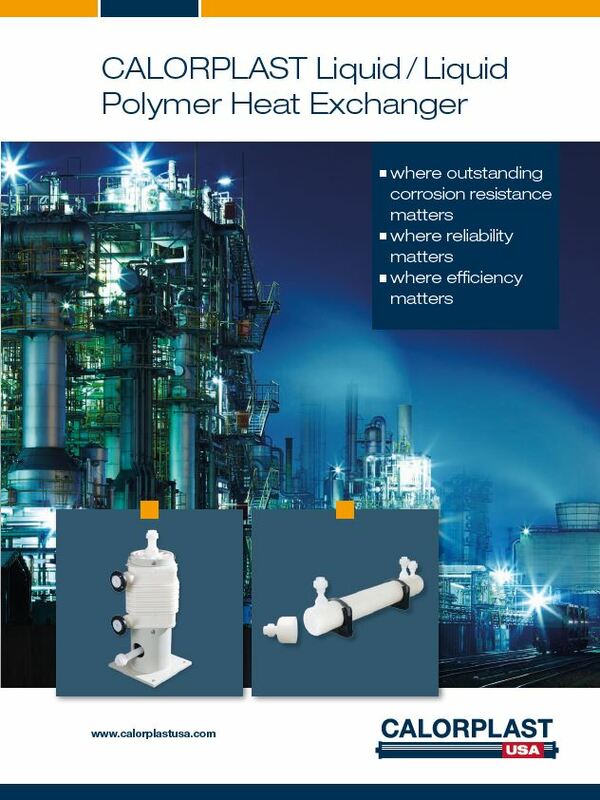 Most heat exchangers are constructed from various metals including alloys specifically designed for seawater. Often titanium heat exchangers are used because that metal works best and cheaper metals would corrode in contact with saltwater dissolving toxic metal into the aquarium water. 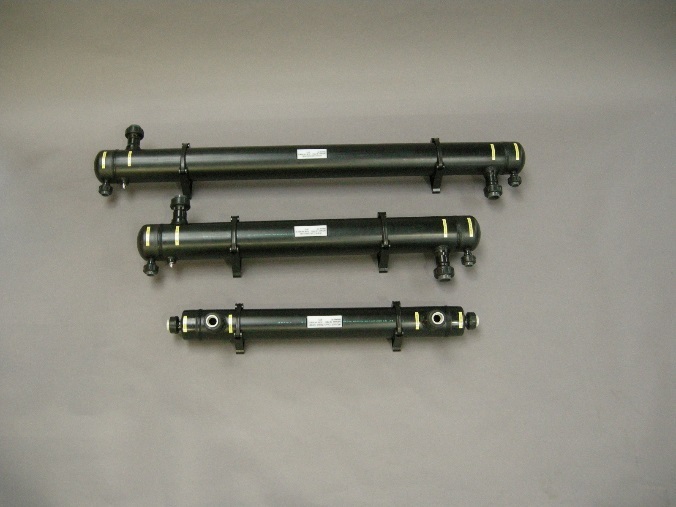 Titanium heat exchanger are very expensive and maintenance of the units is problematic. 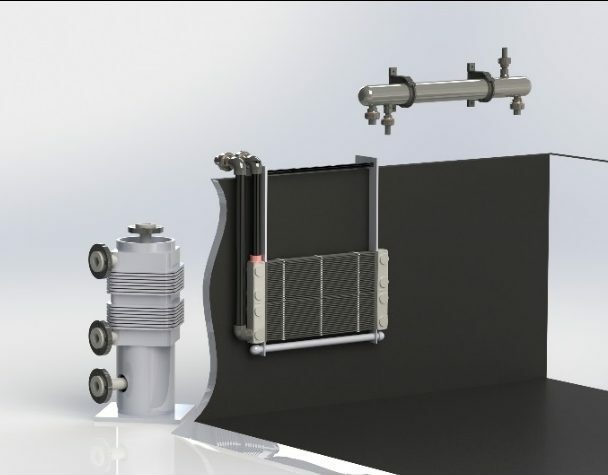 Calorplast has developed an innovative heat exchanger technology that is all-plastic construction on both the shellside and the tubeside of the heat exchanger. The material of construction is polyethylene plastic (PE-RT) which has an application temperature range between 15°F and 175°F. With the all-plastic construction there is zero chance of leaching any metals into the water thus preventing metal toxicity. Furthermore, each Calorplast heat exchanger is custom designed for maximum flow efficiency to optimize efficiency and minimize pressure drop. Therefore, Calorplast all-plastic heat exchangers have proven that they are the ideal solution for heating or cooling of waters in public aquariums.